yvestown, one of my favorite flickr users, has some really pretty photos. her style is so neat and organized. everything about this photo makes me want to be creative. 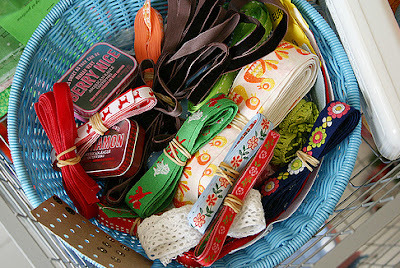 I’ve always had a weakness for ribbon. polka dots, solid grosgrains, tiny animals, ditsy florals…. I love them all. and I love this photo.